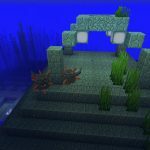 This is an interesting ocean monument seed. 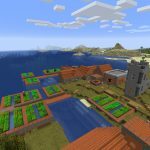 The ocean monument isn’t only partially above ground, it’s also within a fishing village. 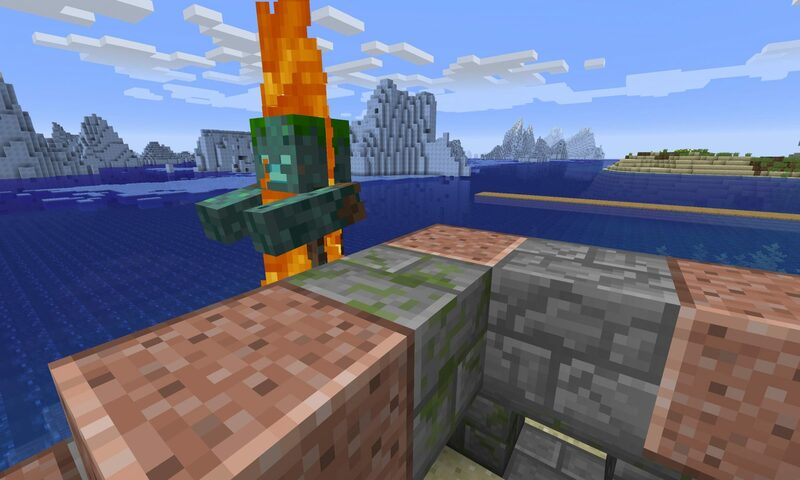 The seed is switchnox (or by number 1651390243). 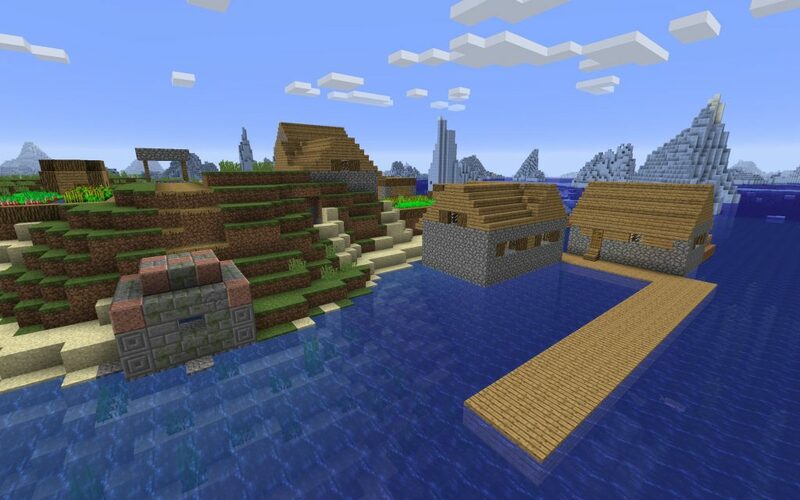 Check out the village first (you spawn in or right beside it). 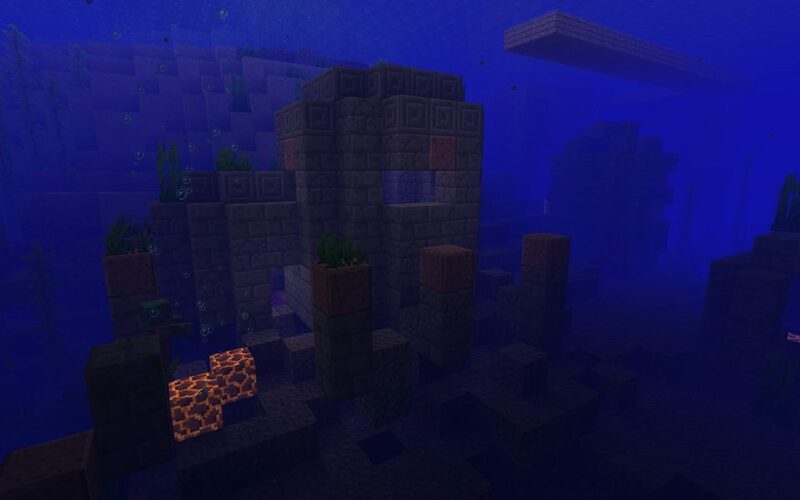 When we tried the seed there was a drowned in the section of the ocean ruin that is above ground. Let him out and watch him burn if you like! The seed has more to offer, too. Beyond the obvious icebergs out to sea there’s plenty to see underwater, too. 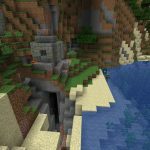 The ocean ruin within the fishing village in this Minecraft seed. The lower portion of the ocean ruin. The fishing village and iceberg field beyond. A ship spawned beneath the village when I tried this. Very cool! Yeah, that happened to me too. I’m having a lot of fun digging out the shipwreck. 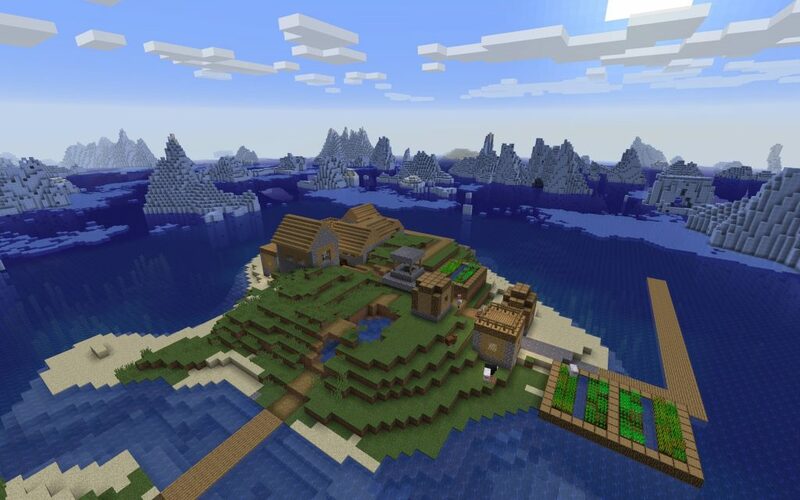 I’ll probably reconstruct the houses in the village that are above it to be in different places, and have the shipwreck (converted into a house) in a central ‘crater’ with the village around it. It’ll be so much fun!